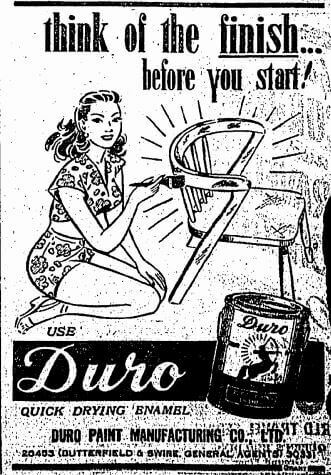 Duro Paint Company was established in 1937. 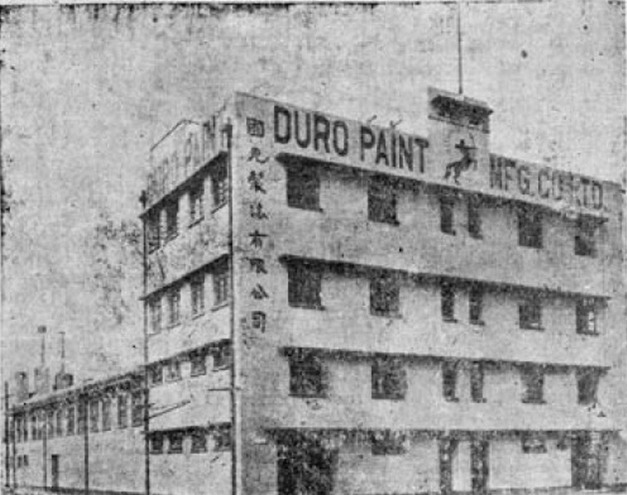 Duro Paint: 1954 A section of the Varnish Kitchen HK Memory Trade Bulletin, Hong Kong : Commerce and Industry Department (December 1954), p.13. 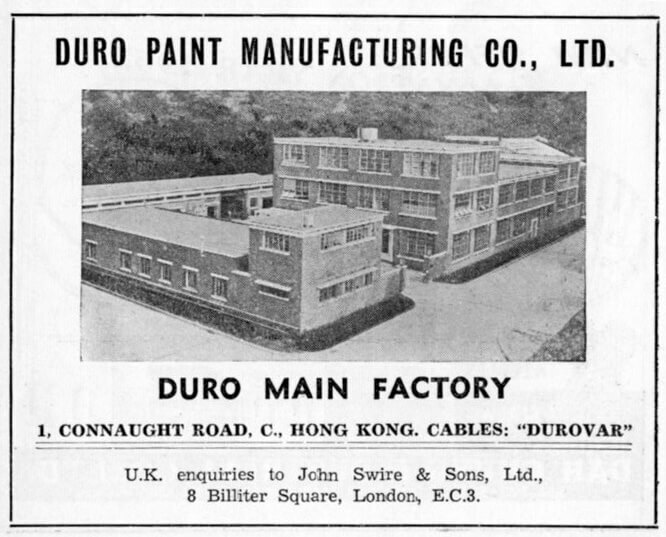 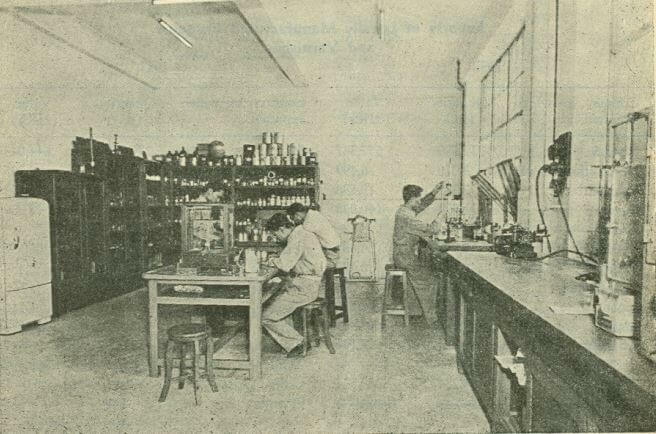 Duro Paint 1954 Part of the Control Laboratory – Trade Bulletin, Hong Kong : Commerce and Industry Department (December 1954), p.13. 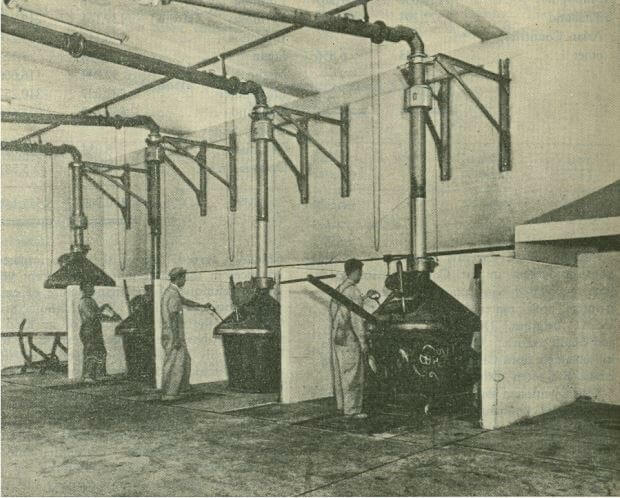 This article was first posted on 17th May 2017.